Virgil Skinner served 14 years for a murder he didn’t commit. He’s finally been exonerated, but he can’t escape the gang he joined in order to survive. They’ll do anything to keep him from telling what he knows. And if they can’t get to Virgil, they’ll go after his sister and her kids. The California Department of Corrections needs someone to infiltrate another gang, one that’s taking control of the state’s most notorious supermax. Virgil’s the perfect candidate, and he’ll agree to do it under an alias - in exchange for his sister’s protection. Chief Deputy Warden Peyton Adams is opposed to having Virgil in her prison. How will she protect him if things go bad? Besides, she’s far too attracted to him; she might even be falling in love with him. That makes her all the more desperate to keep him safe - and it gives him someone else to lose. 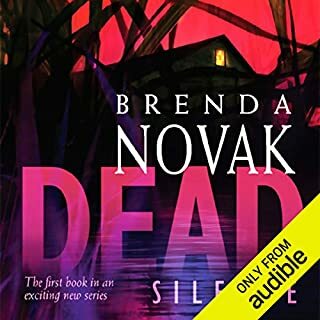 ©2011 Brenda Novak (P)2011 Brilliance Audio, Inc.
My first read for Brenda Novak--glad I found her. 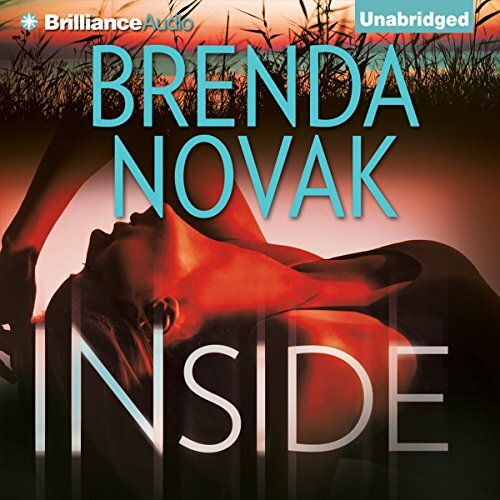 I have been looking for another writer who does suspense as well as romance--I found her in Ms. Novak. 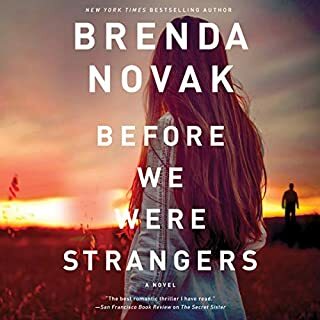 I am like the other person that gave her thoughts--the characters tended to fall in love very quickly (only reason I gave it a four), but I guess it can happen. No matter it was a good story and held my interest the entire time I was listening. But I have said this in more than one of my reviews, the narrator can make or break the book. Angela Dawe is one of my favorite readers--way up on the todem pole. She does a stupendous job with this book. I am looking forward to listening to the next book about his (Virgil's) sister. Hopefully she will continue on with the series with the other character "Pretty Boy", since she it appears that Laurel and Pretty Boy did not hook up (at least I think that did not). I am downloading the second book as I am typing this. This was a pretty good story. The characters kept things interesting. I suppose if I had to pick something to critique, it would be my issue with many novels and not this one specifically. It is the fact that people fall in love way too quickly. Admittedly, when it is centered around a respectable storyline it does help. It was also the first Novak novel for me. 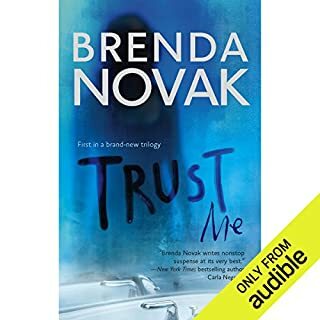 Having it read by Angela Dawe is a plus as she is one of my favorite narrators. I will definitely be getting Book 2 and Book 3 whenever it's released. I listened to and enjoyed all of the "Last Stand" books so I had high hopes when I started this book. Unfortunately it is nothing like the others. The "Last Stand" books are an even mix of romance and suspense with the suspense leading out and gathering throughout the book. 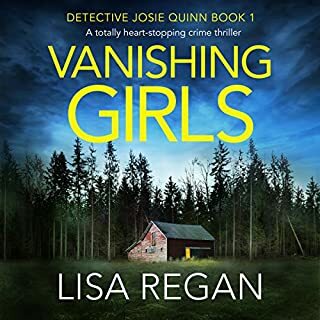 This book had little to no suspense until the final 3 hours when the story finally got to the story that was in the description. Before that point what little suspense there was to the story was so spread out that that it might as well not be called suspense. Unfortunately the romance that dominates the book is of the sort that I don't care for where the heroine is inexplicably and continually drawn to a man who repeatedly pushes her away and treats her like dirt. Ms Dawe's performance unfortunately did not help the book. Though you could distinguish between characters her male and female characters sounded much alike. Even worse, there was little to no emotion portrayed whether the emotion was passion, anger or even fear. It seemed for most of the book that she was as uninterested as I was quickly becoming. If you're a fan of "The Last Stand" series be warned that's not what this is. If you are a fan of the sort of romance I described you may enjoy this book. 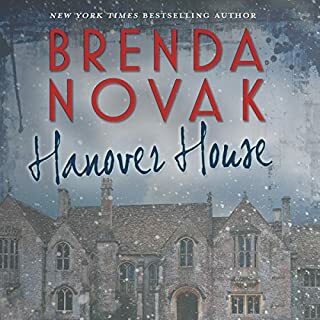 I've already purchased all three of the books in the "Bulletproof" series when they were on sale based on my experience with Ms Novak's other series. Hopefully the others are more like her previous work. What disappointed you about Inside? It was about a woman's love life. I only got a third thru and it hadn't gotten to the described plot. Couldn't put it down. Fantastic in all three categories. Can't wait to read the other books. I should have looked at the cover then I would have realized it was a romance, not a thriller or mystery. The author spent much to much time on the sexual tension rather than the plot. I can’t finish! The performance is so lack luster and B O R I N G...Pretty much one tone, with no emotion. Think I’d get excited and worried if I thought someone was getting attacked, or what not! Blah, blah and blah. I like the author and story line but had to stop bc of the monotone of the reader! I've been in search of a good author who tells a great story. This one definitely fit the bill! The reader is a little dry, but still good. I would definitely recommend this book! yup, my 1st B.N. book and well worth the listening time. Characters were compelled and so is a listener to hear this story. This one had me on the edge of my seat to hear the details unfold. Our hero is as sweet as can be, almost regaining his lost years. I went looking for her work and discovered this series. A.D. is wonderful and she has improved so much from my 1st listens of her reads. 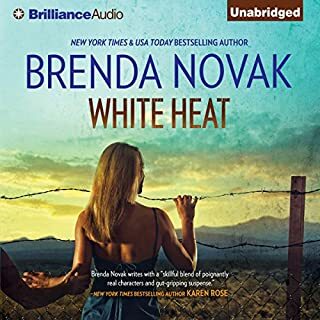 this is a fast listen which keeps you up late to finish...note: if you are looking for steamy love scenes with lots of graph language, this is not it. This was more of The Fugitive type story which will not disappoint.